Leg warmers are great for keeping doggy legs warm during the harsh winter months and are perfect for keeping those annoying snowballs off your dog's legs. They can also be used to protect wounds and/or medical bandaging. Great for arthritic dogs to keep extra warm. 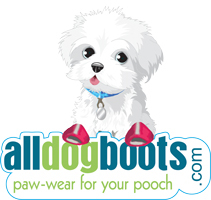 Also perfect for the pampered pooch to stay up to date with the latest doggy styles! My 15 pound dog was born with deformed front feet which went up the back of his legs. After numerous surgeries he is able to move a bit in braces. Your leggings provide the needed padding & protection while in his braces for his now hairless legs due to surgery and prior abuse. They are on 24/7 whether in or out of the braces. AND, he looks so stylish sporting a bit of color! The large will never fit my 40 LB dog. 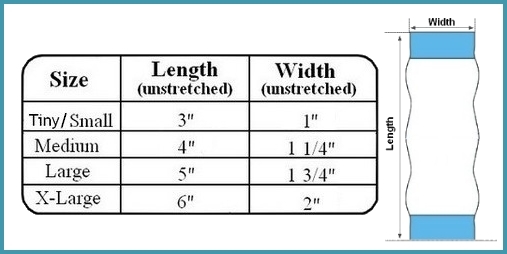 I measured and rechecked my measurements before ordering. There is just no way to squeeze her into them. I have a tiny Chihuahua, and his little legs shiver outside in the winter. I ordered the Zebra ones in the smallest size, first. He weighs 5 1/2 Lb. But those were Too SHORT for him! So i got a size larger, and they are perfect. They are cute, and I am so glad his legs will be warmer when we are out on cold winter day! Thought the M might be too large for our little miniature poodle, but they are perfect for a dog with allergy problems, who keeps biting her fur off her legs. Thanks so much for the really rapid shipment! My dog really needed the leg warmers.